TRUSTING (AUS) (Bay 2006-Stud 2012). 4 wins-1 at 2-from 1200m to 2000m, ATC Hill S., Gr.2. Out of SW Legible. Sire of 91 rnrs, 40 wnrs, inc. SW Terry - Beauty Trust (H.K.) (SAJC Oaklands P., L), SP Trusted Warrior and of Eat My Trust, Nessuna Fiducia, Unguarded, Mitrust, Tan Tat Trusting, Weekend Affair, Buffy, Mutual Respect, Isn't She Elegant, Tisani Grey, Complete Faith, Brix, Grand Edgeroi, One Sunday, The Pleasant Prime, Another Plan, etc. Pym's Royale (g. by Husson). 6 wins to 1400m, A$107,245, to 2018-19, WATC Vale Doug Gardener H., 3d WATC Di Florio H., Get the Tabtouch 2YO P.
Red Flyer (g. by Trusting). Winner. See below. ATLANTE (Fastnet Rock). Second Top Colt on The 2013-14 NZ 3YO Free H (1200m-1600m). 4 wins from 1200m to 1600m, NZ$283,175, A$135,000, New Zealand Two Thousand Guineas, Gr.1, MVRC Chandler Macleod S., L, CJC Canterbury S., L, 2d ATC Hobartville S., Gr.2. Russian Empress. Winner at 1200m in Aust. Readyforcatherine (More Than Ready). 6 wins. See above. TOP PROSPECT (Swiss Ace). 4 wins from 1400m to 2000m, NZ$103,225, A$95,900, to 2018-19, ARC Trevor Eagle Memorial S., L, VRC Juvenile Diabetes Research Foundation H., ARC Fasttrack Insurance H., 2d Wellington Guineas, Gr.2, ARC Karaka Stayers' Cup, SAJC Fleurieu Milk Company H., Counties RC Mount Shop H., 3d ARC Dunstan Feeds Qualifier, SAJC Fleurieu Milk H., Cambridge JC Clubhouse Cafe and Sports Bar S.
Charlestown (Myboycharlie). 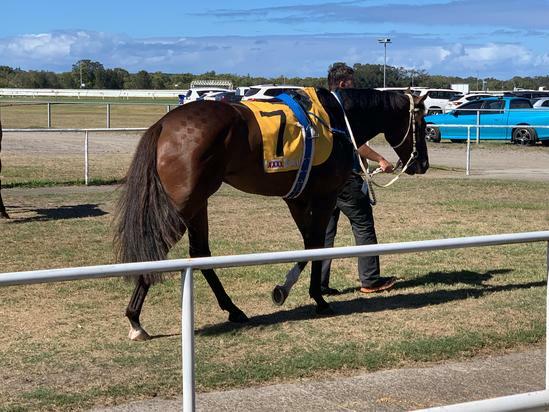 4 wins-1 at 2-at 1100m, 1400m, NZ$119,065, WRC Phil Cataldo Bloodstock H., Marton JC Farmlands Iplex H., 2d WRC Wakefield Challenge S., Gr.2, CJC Millennium Hotel & Resorts H., WRC Richardsonracing.co.nz H., 3d CJC Canterbury S., L, Otago RC Dunedin Guineas, L, Cambridge JC William Inglis & Son H., Manawatu RC Tod Seeds & Turfstar H., Wanganui JC Stevo's Distributors H.
Blackcrown - Little Giant (H.K.). 5 wins to 1400m, NZ$29,375, HK$4,848,775, to 2018-19, WRC Mitsubishi Electric H., HKJC Beijing H., Hakka Culture H., Indian Ocean H., 3d HKJC Panasonic Cup, Racing Club H., 4th HKJC Longines Hong Kong Sprint, Gr.1. Cranky Ol' Lady. 2 wins at 1100m, 1300m in 2017-18 in Aust. Sierra Lanes. 7 wins at 1300m, 1400m to 2018 in Philippines. Face Off. 5 wins from 1000m to 1650m, NZ$900, A$140,855, MVRC Sportingbet Tour of Victoria Final H., Essendon Hyundai I30 H., BRC Aristocrat H., 2d MRC Ahern's at Highways After the Last H., 3d MRC Sportingbet H.
Grand Traverse. 4 wins from 1300m to 1600m, A$93,760, AJC Quiet Little Drink H., 2d AJC Angmering Park 2YO H., 3d AJC Thakral Holdings & Bob Hawke H., Danewin H., STC AAMI Golden Slipper Day H., Tooheys New Golden Rose Day H., Tooheys 2YO H.
Legend of Condor (Not a Single Doubt). 2 wins-1 at 2-at 1000m, A$278,375, to 2018-19, VRC Flemington Fling, ATC Victory Vein 2YO P., 2d ATC Kindergarten S., Gr.3, Brian Crowley S., L, 3d ATC Skyline S., Gr.2, 4th ATC Todman S., Gr.2. TALINUM (Alydar). 6 wins-2 at 2, US$737,818, Hialeah Flamingo S., Gr.1, Aqueduct Stuyvesant H., Gr.2, Saratoga Bold Reason H., Gr.3, 2d Aqueduct Remsen S., Gr.1, 3d Gulfstream Park Florida Derby, Gr.1, Aqueduct Excelsior H., Gr.2, Belmont Nassau County H., Gr.2, Santa Anita Los Feliz S., L, 4th Belmont Suburban H., Gr.1, Metropolitan H., Gr.1. Sire. FLAMING SPEAR (Lope de Vega). 6 wins-1 at 2-from 6f to 1m, £195,503, to 2018, Kempton Hyde S., L, Goodwood Ladbrokes H.
TAQSEEM (Fantastic Light). 4 wins-2 at 2-to 1250m, €142,504, 253,072Dhs in Ireland and U.A.E, Jebel Ali Sprint S., L, Curragh John Roarty Memorial Scurry H.
TAJMEEL (Nadeem). 3 wins at 1600m, 2400m, R204,800, Clairwood Gold Circle Oaks, Gr.2. Producer. CROC VALLEY (Western Winter). 6 wins from 1400m to 1800m, R532,270, Kenilworth Prix du Cap, Gr.3, Jamaica H., L, 2d Clairwood East Coast H., L, Queen Palm H., L. Producer. GALILEO'S NIGHT (Galileo). 5 wins from 2000m to 3200m, R291,820, Kenilworth Durbanville Cup, L, 3d Fairview Port Elizabeth Gold Cup, L. Sire. GHOST IS CLEAR (Ghostzapper). 14 wins to 6½f, US$502,229, Canterbury Park Dark Star S., L, 3d Fair Grounds Duncan F Kenner S., L.
MASTER OF WAR (Compton Place). 4 wins-2 at 2-from 1200m to 1600m in GB and U.A.E, Newbury Rose Bowl S., L, 2d Goodwood Richmond S., Gr.2. WOLF MAN ROCKET (Mineshaft). 3 wins at 1m to 2018, Oaklawn Park Northern Spur S., L.
HONEY LAKE (Dynaformer). 5 wins from 9½f to 1½m, US$266,492, Del Mar CTT & Thoroughbred Owners of California H., L, Keeneland Allowance. SIMEON (Lammtarra). 7 wins-2 at 2-from 1m to 1¼m, £67,800, €128,331, US$65,240, 117,900Dhs in GB and U.S.A, Sandown Classic Trial S., Gr.3, Haydock Discover-Racing.com H., Doncaster Mansfield Beers 2YO S., 3d Chantilly Prix du Jockey Club, Gr.1. NOTABILITY (King's Best). Champion Older Male Miler in Germany in 2006. 3 wins-1 at 2-at 1500m, 1600m, £73,204, €105,980, 32,880Dhs in GB and Germany, Baden-Baden Oettingen Rennen, Gr.2, 2d Milan Premio Vittorio di Capua, Gr.1, Salisbury Sovereign S., Gr.3, Haydock Totesport Silver Bowl, Sandown Esher Cup, Jebel Ali Derrinstown Stud H., 3d Lingfield Summer Mile, Gr.3, 4th Longchamp Prix Daniel Wildenstein, Gr.2. SIMON DE MONTFORT (King's Best). 6 wins-2 at 2-from 1600m to 2000m, £5,380, €96,500, 650,310Dhs in France and U.A.E, Longchamp Prix La Force, Gr.3, Saint-Cloud Prix Francois Mathet, L, Longchamp Prix des Feuillants, 3d Windsor Winter Hill S., Gr.3. OCEAN OF TIME (Refuse to Bend). 5 wins-1 at 2-from 1200m to 1800m, R348,875, Kenilworth Ladies Mile, L, 2d Kenilworth Stormsvlei Mile, L. Producer. DESIRE (Glory of Dancer). 9 wins to 1400m in India, Hyderabad Golconda Juvenile Million, L.
WAQUAAS (Green Desert). Champion Sprinter in Scandinavia in 2001. 17 wins from 1150m to 1600m in Norway and Sweden, Taby Open Sprint Championship, Gr.3, Ovrevoll Polar Million Cup, Gr.3, 2d Ovrevoll Polar Million Cup, Gr.3, Taby Open Sprint Championship, Gr.3. GREAT NOTION (Elusive Quality). 3 wins-2 at 2-from 6f to 1m, Oaklawn Park Southwest S., L, 2d Saratoga King's Bishop S., Gr.1. Sire. SANTA CATARINA (Savabeel). 2 wins at 2 in 2017-18, Waikato RC Waikato Equine Vet Centre S., L.
Race Record: 12 Starts 1-0-2 A$14,865. Winner at 1500m in 2018-19 in Aust.